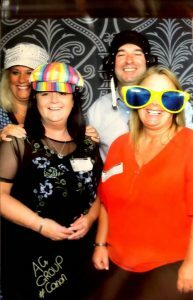 Our fantastic sales managers Dawn Doxey and Lisa Birt, along with our Operations Director Andrew Crowder, had a great time at the Rotherham Chamber Means Business exhibition at Rotherham New York Stadium on the 6th of September. Along with them also came Canon’s Business Development Specialist Racheal Taylor, who works with Canon partners in order to help improve and provide input on their business strategy. The event was a great chance to meet local businesses and introduce ourselves with the view to possibly developing a working relationship in the future, as well as informing our base area what services we provide and how we may benefit their office. 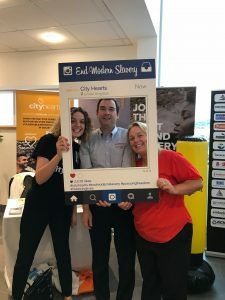 Overall, it was a lovely and very successful day, and we particularly enjoyed meeting up with City Hearts, who filled us in all about their latest work, which is aimed at protecting and supporting victims of modern slavery.